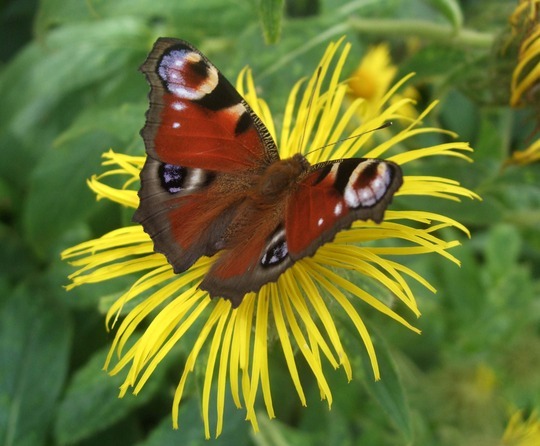 You can visit our Inula page or browse the pictures using the next and previous links. Glad they came back for another day. Pity we didn't get the four of them, wasn't it. yes and the commas too. what have you done with that 'other dahlia'? A really stunning picture Spritz. This photo is of species Inula hookeri. See who else has plants in genus Inula.